(VEN) - Although facing global economic fluctuations, domestic growth maintained its recovery thanks to the strong development of industry and construction, especially the manufacturing and processing sector. In addition, exports recorded fairly good growth and private investment was improved. The National Financial Supervisory Commission (NFSC) said there would be no pressure on inflation in 2016. Together with the 9.57-percent growth in industry and construction and the 9.6-percent increase in exports, private investment and businesses’ health continued to be improved in the first three quarters of the year. Newly established enterprises increased by 28.5 percent in numbers and 31.4 percent in capital, while the number of businesses going bankrupt or suspending operations fell by 2.5 percent in the first nine months of the year. Although inflation in September alone reduced to zero percent, core inflation remained standing at 2.4 percent. Due to fluctuations of oil prices, the NFSC said that inflation this year could fall to below two percent. Thanks to the recovery of the world economy, Vietnam’s economic growth could achieve the targets. 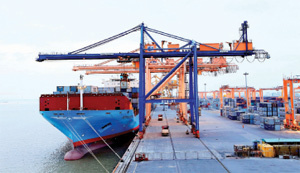 According to the NFSC, exports in 2016 would record better growth and the signed free trade agreements would help Vietnam expand export markets. Foreign direct and indirect investment inflows will pour into stable development economies including Vietnam, creating favorable conditions for the country to achieve better growth in 2016. 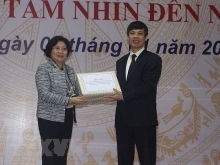 “Economic restructuring and institutional reforms through amended laws in addition to administrative reform measures will help Vietnam win investor trust, improve the national competitiveness and encourage private investment,” NFSC said. Many challenges await the Vietnamese economy. Although businesses’ health has been improved, small and medium-sized enterprises (SMEs) have still faced difficulties. Almost all businesses going bankrupt or suspending operations in the first half of the year were SMEs with registered capital of under VND10 billion. Economic restructuring and equitization of state-owned enterprises have initially achieved satisfactory results. However, it has been disappointing. According to the NFSC, inflation would face no huge pressure in 2016 due to macroeconomic stabilization. However, macroeconomic policy operations need to be careful. Monetary and fiscal policies need to be flexibly implemented to control inflation. In addition, state budget revenues will further increase compared to 2015 as trade and production activities are being improved and oil prices are on a rise. However the amount will not much due to tariff reduction commitments following the signed free trade agreements.